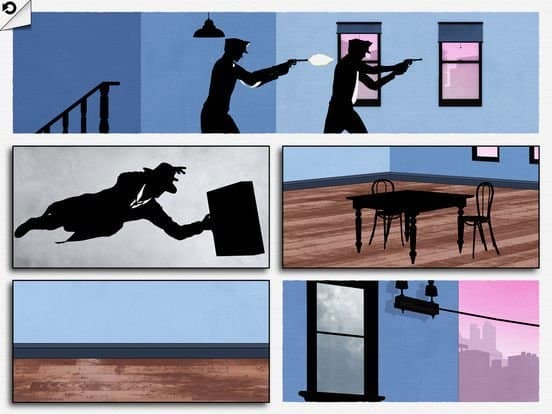 This week’s free app is the story puzzle FRAMED. Normally it’s $4, but you can get it free from iTunes until Thursday, June 15th. 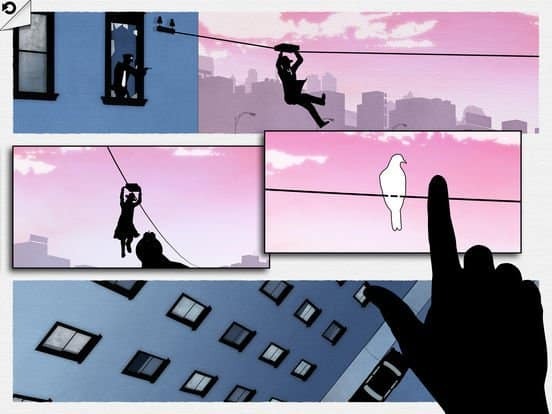 It’s an interactive story, like Lifeline: Whiteout, but here you move the story along by arranging the storyboard. Put them in the wrong order, the story stalls. Get the parts correctly staged and the story moves along. In that aspect, the game is like the famous Monument Valley. The animation here is classic comic book style, but with a little Archer and Mad Men thrown in there. The music keeps you entertained while you figure out the story. This is a PG-13 game since it has simulated blood and death. The adult theme of running from the police probably isn’t good for kids either. Everyone else will like figuring out what’s next in the story. In many ways, it’s like an interactive book. Since it isn’t an arcade-style game, you can pick this up at any point. Don’t bother playing it on the iPhone: it’s too small. The app is fine on the iPad but really shines on the Apple TV. The story takes up about 350MB. You’ll get through it within an hour or so, therefore it’s probably not worth keeping after you play it. If you have an Apple TV, play it there and keep it for others to explore. Thanks for the “parental rating” info and summary.